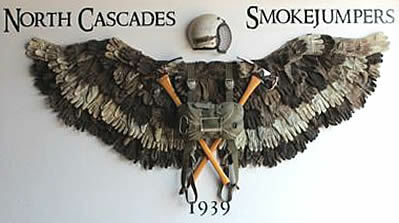 The Methow Valley is the birthplace of smokejumping and the North Cascades Smokejumper Base is integral to the economy, culture, and disaster preparedness of the Methow Valley. TwispWorks continues to lead the effort to keep the NCSB in Winthrop and is hosting the traveling Smokejumper Museum in Your Space@TwispWorks, Building #9 on the campus. Open most Saturdays through Labor Day, the museum is free and open to the public.